Bluedio T6 supports Alibaba Cloud Computing and other cloud platform. 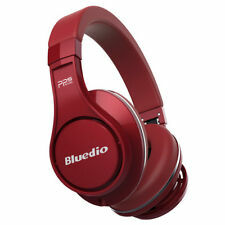 Bluedio T6 Headphone. Bluedio's latest generation of Turbo headphones: T6---, your professional mute. ANC deep noise reduction -25dB, eliminate more than 90 percent of low-frequency noise in your life, enhance your listening experience. 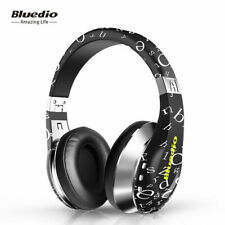 Bluedio Bluetooth headphones. New other, opened box. US shipping only. Bluedio UFO Gold Headphone. UFO Series. 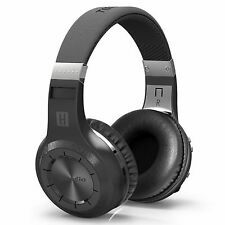 We specialize in developing, producing and marketing Bluetooth headset, Bluetooth Hifi headphones,Bluetooth sound bar etc. We pride ourselves on the high quality product, boasting of advanced production facility, top- notch administrative staff, smooth distribution channels. Bluedio UFO Headphone. UFO Series. Colors: Red, Black ,Black-red ,Black-silver ,White ,Gun ,Gold ,Purple. 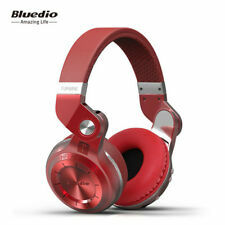 Bluedio Turbine Hurricane H Bluetooth 4.1 Wireless Stereo Headphones Headset. Bluetooth Version: V4.1. 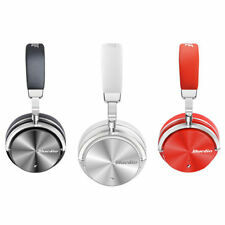 1 x Wireless Bluetooth Headphone. Provide excellent, shocking and stereo tone quality. 1 x User Manual. Such as, For iPad iPhone 7 6 6s,For Samsung Galaxy S6 S5 S4/Note 5 4 3,For Sony LG Smartphone,Tablet PC,Laptop,etc. 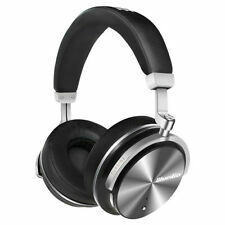 Bluedio T5 5th Generation noise cancelling Bluetooth wireless headphones. Remote call, rechargeable battery, ANC switch, volume control, microphone, pause/play button, MF button, LED indicator. Condition is New. Shipped with USPS Priority Mail. 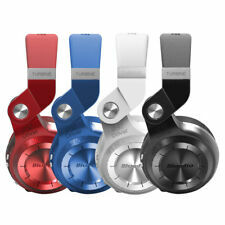 Bluedio T4 Turbine w/ Active Noise Cancelling Over-Ear Swiveling Wireless WHITE. Shipped with USPS Priority Mail. Built-in magnets let you attach the two headphones together and prevent the headphones from sliding off or cable tangle when not in use, just hang around your neck like a necklace. T energy adopts two microphone with high signal-to-noise ratio to eliminate 90% of low-frequency noise in your life, so that you can use it on the plane, bus, subway, etc. 1 Bluedio BS-6 Bluetooth speaker. Bluetooth 5.0. BS-6 adopts Bluetooth 5.0, which has low power consumption and makes the signal transmission more stable and faster. Bluetooth version: 5.0. Bluetooth transmission frequency: 2.4GHz to 2.48GHz. T6S Bluetooth headsets adopt the Active Noise Cancelling technology and bring you crystal-clear sound. T6S Turbine series adopt 57mm Fully Plating Titanium Drive Units, combining with its own developed VFT (Vector Flow Supercharging Technology), which makes the sound steady and impressive. Bluetooth Version: 4.2. T6 earphones;. Sensitivity of Noise Reduction: -25dB. User manual. Type-C charging cable;. flocking bag;. Frequency Response Range: 15 Hz – 25 KHz. Output Power: 50 mW 50 mW. Bluedio V2 (Victory). 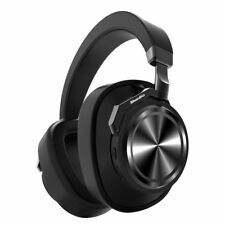 Bluedio V2 Bluetooth headphones has a unique design wherein a ventilated back chamber in each ear cup of the headphone can propel air out and equalize air pressure on both sides of the headphone ear cans. 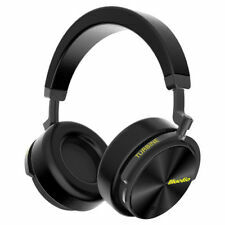 Bluedio Bluetooth 4.1 Stereo Headsets T2s Turbine. Bluedio T2S Turbine Review - Outstanding Battery Life & Nice Bass Emphasis - YouTube. My other Headphones & Headsets. Video will open in a new window[isdntekvideo]. ANC Technology: T4's Active Noise Cancelling technology cuts off surround noise significantly. Vibrant Bass/Treble and crispy Mids: T4's unique Cavity Design minimizes interference. You can always count on T4 headphones for crisp,vivid highs.